So, you have done your sleep study at a clinic and have been diagnosed with sleep apnea. Your next logical thought will likely be, “How much does a CPAP machine cost?” The answer, unfortunately, is not definitive; it just depends. Fortunately, you have many options when it comes to buying a CPAP machine and related equipment. What I hope to do here is give you as many details about the typical CPAP buying process. With this information, you will be able to ask the right questions of your doctor and insurance company to understand the costs associated with using a CPAP machine. What is a CPAP Machine? You might have heard people talking about this machine when referring sleep apnea. A CPAP machine is a Continuous Positive Airway Pressure machine. This means the machine takes in air and pressurizes it to a prescribed air pressure setting. 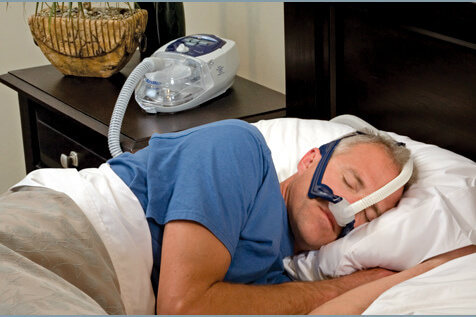 The air then flows through a CPAP hose and into a CPAP mask which is strapped around the user's nose and/or mouth. The air pressure keeps your throat from closing during sleep, stopping apnea or hypopnea event﻿﻿s. The CPAP machine provides air pressure continuously through the night and helps treat obstructive sleep apnea (OSA).